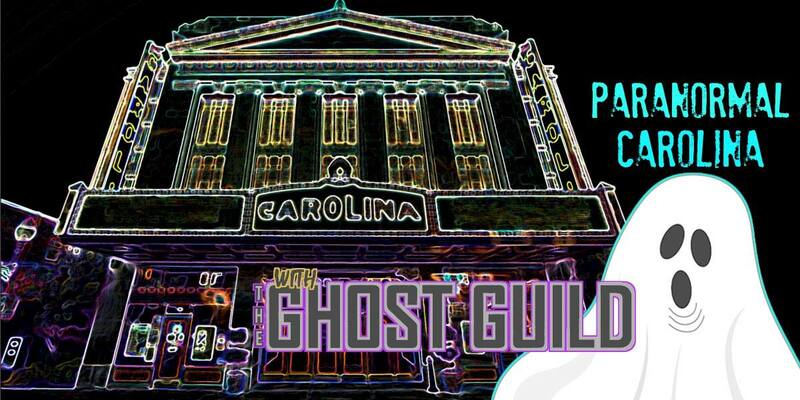 Join us for our second haunted lock-in at Paranormal Carolina – this year with The Ghost Guild! This is your chance to explore hidden parts of our haunted theatre, learn about 90 years of paranormal history, and experience being locked-in overnight with the spirits the Carolina holds! 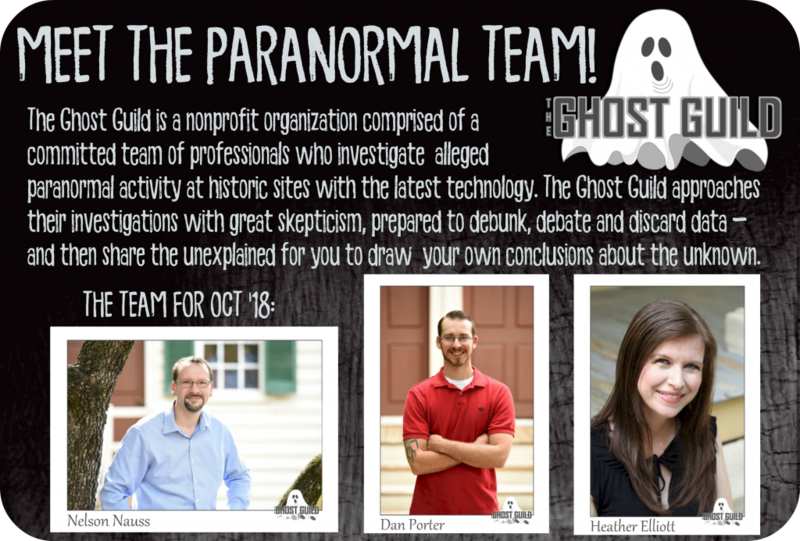 No prior paranormal experience required! WITH TICKETS VALID ONLY FOR THE DATE SELECTED AT PURCHASE. We are also welcoming back Angy Brinson and Kelley Strider, who led investigations at Paranormal Carolina 2017! Angy will be hosting a booth explaining various pieces of paranormal investigation equipment. Angy is a self-described skeptic who began investigating with the goal of disproving supernatural phenomena… but found more than she bargained for! She led P.I.N.C. (Paranormal Investigators of NC) for several years, investigating all over North Carolina. Kelley will be hosting our divination booth! Kelley Strider is an intuitive who is proficient in several divination methods. She is an expert with Tarot cards, the Lenormand deck, and dowsing rods. A presentation will also be made by Carolina Haints, a podcast about ghost stories, folklore legends, unexplained mysteries and the dark history of the Carolinas. Snacks & cash bar (for alcoholic beverages) will be available. A quiet area will be set up in the Renaissance Room for those who’d like to rest. Doors will open at 9PM. Lock-in runs until 4AM. Advance tickets are $80, available until September 30. Starting October 1, tickets will be $95. (Prices do not include sales tax.) Tickets will NOT be available at the door. Ticket sales for each event will end at 5PM the day of the event. There is an additional $3.50 per ticket web fee for internet purchases; call 336-333-2605 to avoid those fees! Guests can opt to have their tickets mailed to them for $1, or can pick up tickets in will call for no charge.